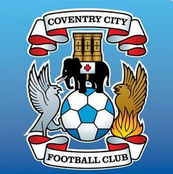 Discussion in 'Coventry City General Chat' started by Cbaker89, Feb 21, 2013. Coventry fans on FIFA do you want start a FIFA club? Mine is (funnily enough) Sky Blue Sheepy. Always up for a game! PSN id is mlharvey71 if you want an easy game, I like to play, but I'm really bad at it!!!! If you add leave a message saying you're from this forum as I tend to ignore random adds!!! I have a PS3. We should start a pro club. PS3. You know the tag ID. I don't play it often but love playing it. Would be up for a few games. I like to think I'm pretty alright too but mainly just play strangers. Pro clubs is where you are part of an online team where you play as your pro player only. Will be adding all those on PS3, just a heads up. If you wanna add me it's GingerJonny477, usually up for a game. Just had two superb games with Plymouth Sky Blue, he was unlucky not to win both, however, the scores were 4-3 and 2-1 in my favour! Also for those on PS3, I have made a club for us, just search for SkyBluesTalk FC. Might have to join the xbox one! do you guys want me to set it up on xbox? I have hardly played the pro made on Fifa 13 as smashed it on the last one and couldn't be armed to do it all again. Didn't like that I didn't start in the reserves and played straight for first team. Up for some online games though. See which pro club can do the best? Any clubs going on PS3, I'm pretty good. Search SkyBluesTalk FC mate, will accept and everything when I get home. Anyone on here know shops in the city centre that sell retro kits?